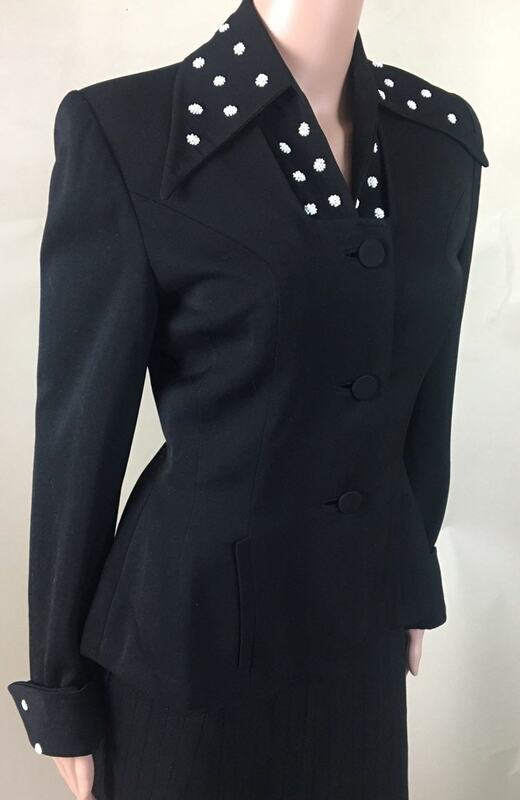 Gorgeous 1940s Lilli Ann gaberdine fitted jacket with white beading on the collar and cuffs. 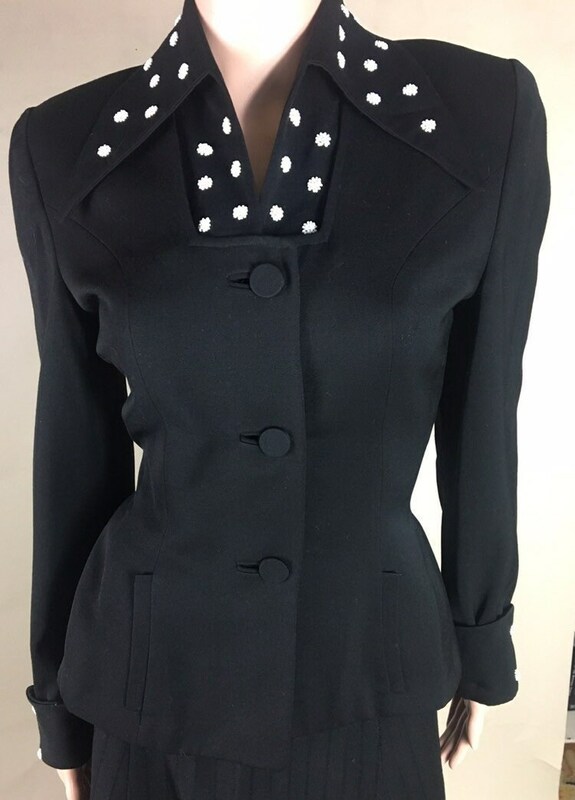 This jacket is in EXCELLENT condition with absolutely no flaws that I can find. The label is missing but as you can see from the pic, this is a Lilli Ann. 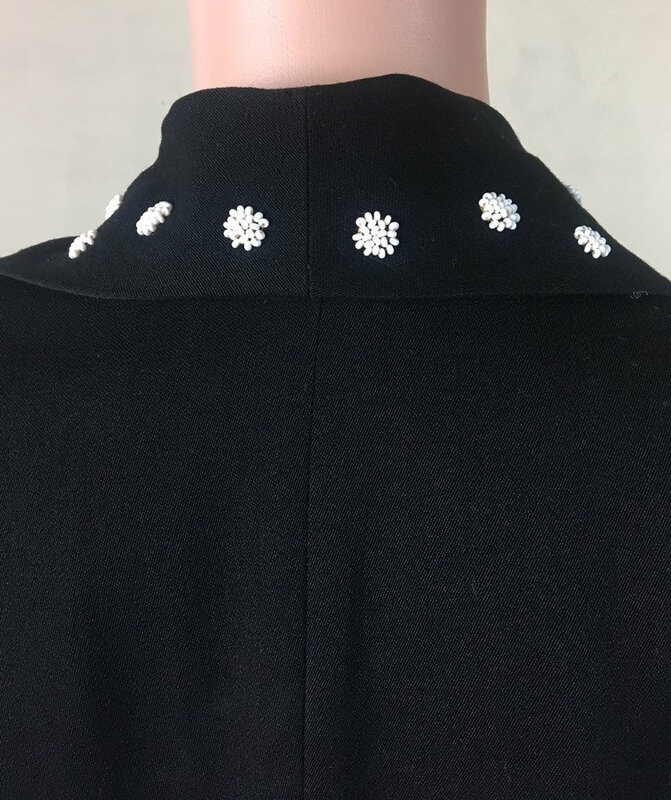 The jacket has a swallow tail collar that is beaded with a beaded interface. Over this area is a square cut design. 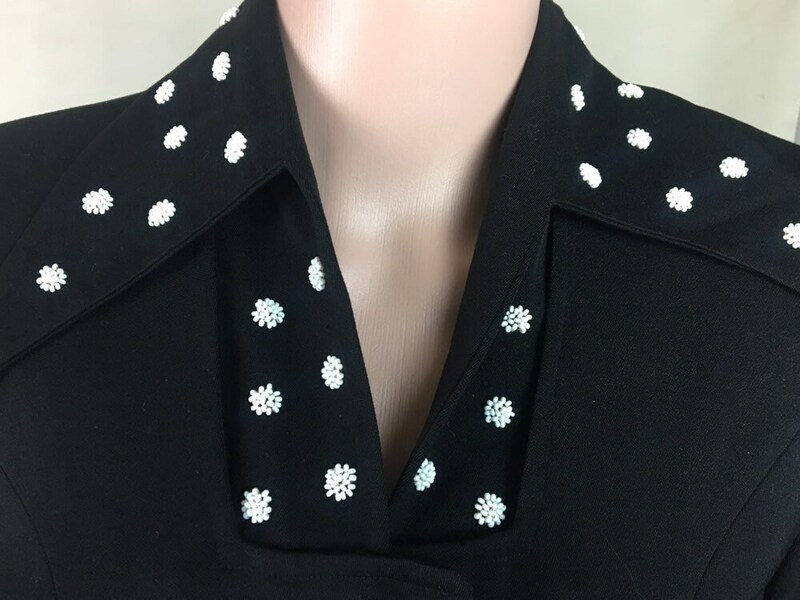 The jacket has 3 fabric buttons in excellent condition. 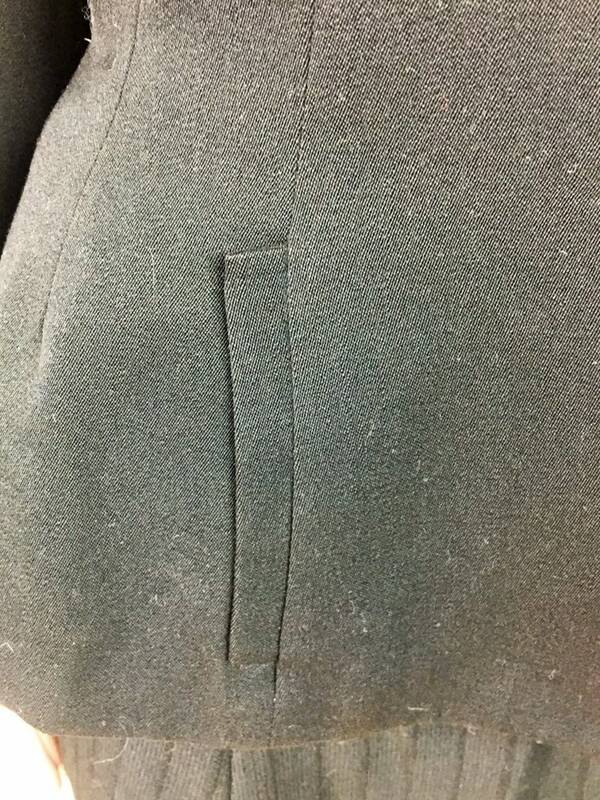 There are two bellow pockets with thin flaps. The shoulders are padded. 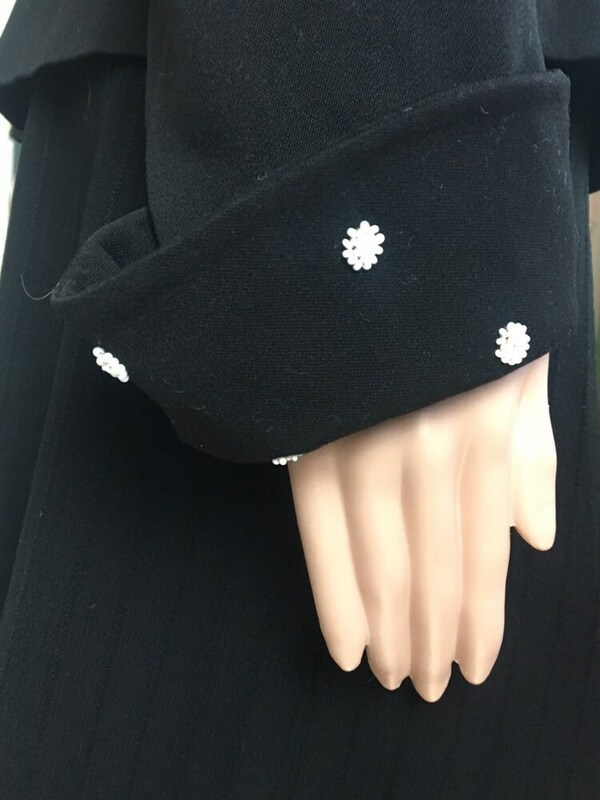 The cuffs continue the white beaded floral/polka dot design on the front side only. 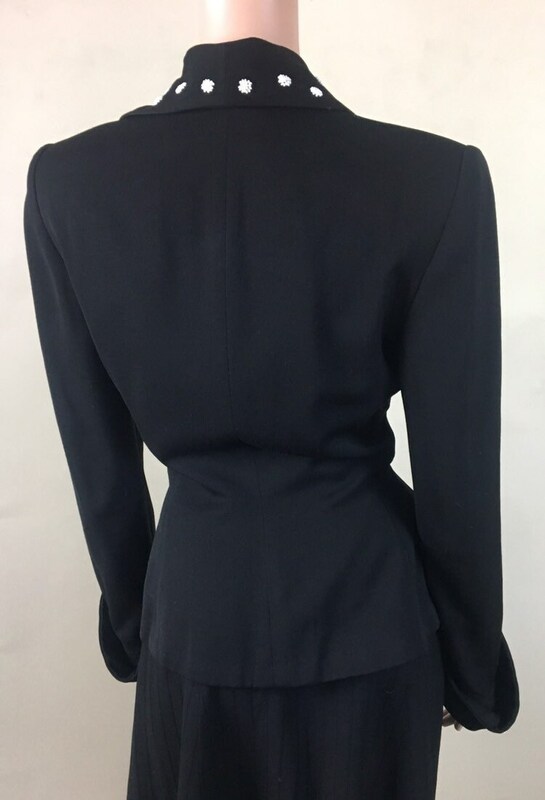 The back has one long center seam and double seams on the sides. 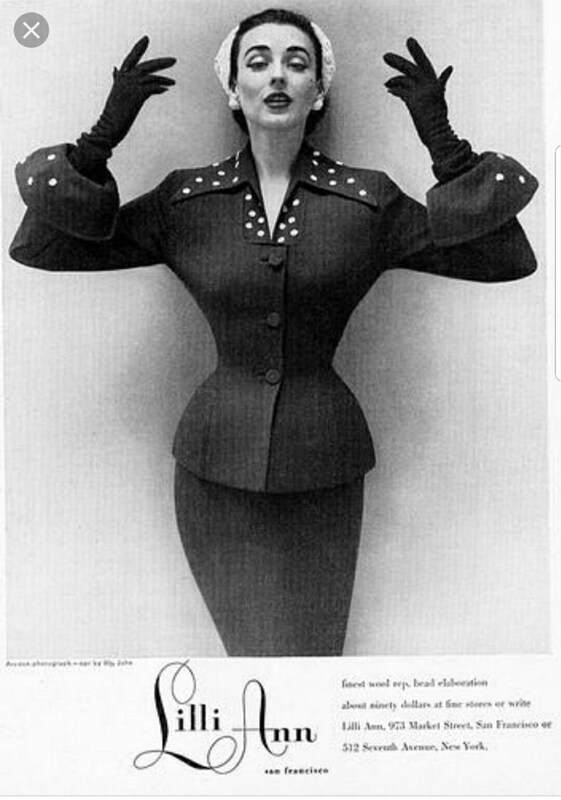 The front has two seams and the top seam curves. The button holes are a beesom design. 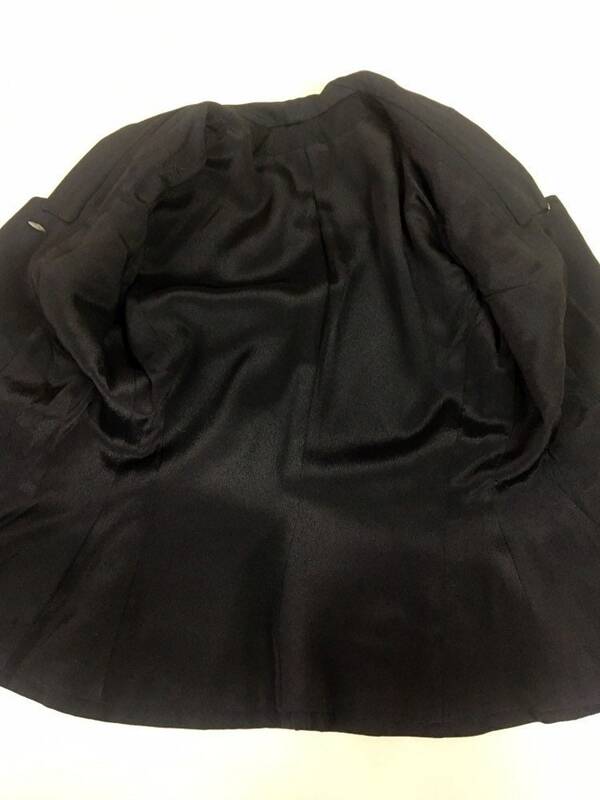 The lining is black crepe in EXCELLENT condition. There are no labels. CONDITION. As mentioned above, there are no flaws whatsoever and no smells. I am rating this as being in excellent condition!